To the disappointment of the English home crowd, their team left the tournament early and the New Zealand All Blacks lifted the Rugby Union World Cup yet again! These are the headlines, but sports across the world have been using data analytics to gain deeper insights into what makes teams win and players perform for some time – the Rugby World Cup included. However, the overwhelming surge of data in today’s era has produced views that advanced analytics is an extremely technical process, designed to be managed by only a master of computer science. Our general acknowledgement of using data to acquire insights and gain a competitive advantage is widely understood throughout each market, but until recently it seems to have proven difficult to utilise. Consequently, the scientific nature of advanced analytics has prevented people from harnessing and exploiting data in an attempt to get innovative and get smart. Yet, as many already know, helping regular users understand data is one of the most challenging problems we face today. More recent technological advancements have allowed the creation of more intuitive platforms. Whilst Hadoop has the ability to bring together thousands of data points per second, tools such as Watson Analytics and Tableau produce visual analytics to connect data in a matter of minutes from a graphical point of view. 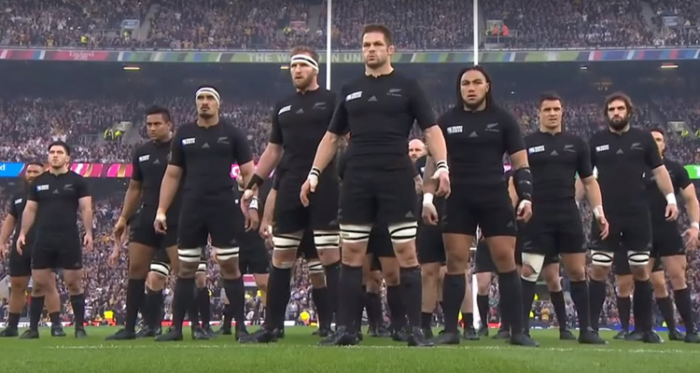 Sports across the world have been using data analytics to review game tape and monitor players – with the New Zealand All Blacks pioneering the use of data monitoring since the early 2000s, keeping the world’s number one team at the top of their game. But this development in analysis is not only for the teams. Data insights are being displayed across all digital platforms in an easy to consume way, enhancing the fan experience as a whole. Supporters, with the help of applications like TryTracker, are now seeing the breakdown of every match in real time, and with the help of on-screen statistics and comparisons, fans are able to delve deeper into the scrum than ever before. Such tools, transferable to any industry, implement a user-friendly interface to explore big data, freeing the user from having to learn complex commands and offering a new cost-effective way to store and process big data, without any skill level required. These self-service business intelligence applications have evolved to allow the ability to make discoveries, share data and answer questions, now accelerating the pace of analytics and allowing companies to differentiate in the digital world. By no means does someone have to be a technical wizard to navigate such platforms – like Watson Analytics and Tableau, Roambi creates data visualisations in a simple and engaging way accessible through the touch of a finger via your mobile device. These advancements allow non-experts to make connections to data without any formal training, creating and developing dashboards with the click of a mouse. The elimination of complexity from these platforms makes it easier for users to produce insights from multiple layers of data, highlighting potential patterns in a visual array which even the simplest of minds can understand. Individuals of any skill set now have the ability to absorb the meaning of their data and take action. Where interpreting information has become second nature, let’s take the (small) leap to transforming our (big) data with visual analytics!